Free Agent Market Finally Heating Up: Where Will The Remaining FAs Sign? With Eric Hosmer, Yu Darvish and J.D. Martinez finally signed, the free agent market is heating up. As an MLB fan, it was just painful to see the lack of action that occurred for much of the off-season. From the end of December to the 2nd week of February, the free agent market was nearly silent. But once Spring Training started, it served as a wake-up call to the MLB teams who continued to wait on signing the free agents they were targeting. It’s free agency that keeps me following baseball during the off-season, so I’m glad that it’s finally getting going. The only MLB news during those quiet weeks was rumors and predictions as to where these free agents would sign. The FA market may be in action, but there are still many high profile free agents out there, and I would be surprised if they are not signed by the start of the regular season. It’s still crazy that we’re talking about this on the first day of Grapefruit and Cactus League action. Now that the Orioles have signed Chris Tillman and Andrew Cashner, they do not seem to be in the market for a high profile starter anymore, although they may sign another lower tier pitcher for the #5 spot. Their rotation looks a little more respectable now between Tillman, Kevin Gausman, Dylan Bundy and Cashner. Mike Wright, Miguel Castro and Alec Asher among others will compete for the #5 spot unless another starter is signed. The Brewers appear to be the top suitor for Arrieta, but the Nats, Phillies and Twins have also shown interest. Although Washington’s rotation is already led by Max Scherzer and Stephen Strasburg, Arrieta would be a good fit as the Nats have struggled to find a 5th starter. Many of Washington’s stars also share an agent with Arrieta. If Arrieta signs here, then Gio Gonzalez and Tanner Roark would line up as #4 and #5 starters, while Strasburg, Scherzer, and Arrieta could potentially go on to become one of the best rotation trios in the MLB. As for the Brewers, I think Alex Cobb or Lance Lynn would be a better fit for them. I’m standing by my original prediction here. I honestly think St. Louis is the best fit for Moose, although the Braves, White Sox or Yankees may be more likely to sign him. Of those four teams, I think the Cardinals and Braves are the most likely to sign a third baseman before Opening Day. The White Sox have plenty of depth in their infield, they were just considering a veteran third baseman to aid their rebuild. The Braves are also rebuilding, but they don’t have the same kind of infield depth, and I don’t know if Rio Ruiz or Johan Camargo are viable big league starters yet. Meanwhile, the Yankees could use an upgrade, but seem satisfied with Miguel Andujar and Brandon Drury among others for 3B options. The Cardinals will sign Moose in order to give themselves more options in the infield. Rather than forcing Jedd Gyorko into the starting third base job, they can let Gyorko share time with Kolten Wong and Paul DeJong in the middle infield. I had Cobb going to Chicago as a veteran influence who would let younger starters take more time to develop before jumping into the White Sox starting five. But with Yu Darvish signed, there are other teams that appear to want him more, such as the Brewers and Twins. I think he’s more likely to go Milwaukee than a rebuilding team. The Brewers would pay him more money, and he would be a leader to an improving rotation on a contending team. I’m sure Alex Cobb wants to sign with a winner if he can. The Brewers have the tools to contend, but need to add a #1 starter, and I think Cobb is capable of living up to Milwaukee’s expectations. Now that the Twins acquired Jake Odorizzi before Milwaukee could, the Brewers have two options. They can try and get Cleveland to give them Danny Salazar in exchange for an outfielder or two (which the Indians could use), or they could sign a free agent pitcher. I think free agency is the safer option for the Brewers right now. The Phillies have a decent-looking roster after what I would call a successful rebuild. But in order to be a contender in coming years, it’s time to sign some veterans. Some of this can wait till next off-season, when the free agent class is much better than this year’s group, but if they even want to have a chance at landing top free agents next year, they need to start thinking about contention this year, starting by signing a high-tier starter to bolster their rotation. While they don’t need an ace just yet, Lynn would be a good fit as they could use a better #2 starter behind rising star Aaron Nola. Holland won’t be able to get as big of a contract now that he’s waited this long to sign, but I do think he will be the closer somewhere by Opening Day. Milwaukee’s late inning crew is all set now between Jeremy Jeffress, Corey Knebel and Boone Logan among others. But St. Louis could use a late inning reliever to pair with Luke Gregerson, and Holland would be a great fit. In this case, Holland would be the full time closer with Gregerson shifting into the set up role. I’m standing by my prediction for where Lucroy signs, but I don’t think he can get a long term deal at this point in the off-season. In a couple of years, either Martin Maldonado or Carlos Perez will be ready to thrive as a starting catcher. Lucroy is a high-tier catcher, but it’s hard for any player to get a large contract at this point in the off-season, let alone a catcher. Lucroy will be a seasoned starter at catcher for the Angels, and he’ll make the lineup even stronger with his big bat. Walker is in a similar situation to Lucroy here. I still think he’ll end up in the same place that I had originally thought, but his likelihood of a long-term deal decreases as the off-season progresses. The Brew Crew could use a second base upgrade beyond Jonathan Villar and Eric Sogard, especially if they want to contend. They know Walker after he spent the second half of 2017 in Milwaukee, and he’s still a good fit. There hasn’t been that much interest in free agent first baseman that aren’t named Eric Hosmer this off-season, which could leave Morrison and Lucas Duda without a team to begin 2018. But there are a few teams who could still use a first baseman, like the Royals, who lost out on Hosmer, Rockies, who may need another option aside from the young Ryan McMahon, Athletics, and Mariners, who could each use a veteran influence at first to rotate with their young first basemen. I see Morrison, arguably the best first baseman left, signing in Kansas City to help fill the hole that Hosmer left. Although the Royals are rebuilding, they don’t have many prospects ready on the right side of the infield. Most of their young infielders who are ready to start will either play shortstop or third base. I don’t think he can still get a $22 million deal, and I don’t think he’s going to Oakland anymore. Now that the Athletics acquired DH Brandon Moss, they have another veteran in the mix and will not need Jay. The Rangers will be looking for an upgrade over or platoon mate for CF Delino DeShields, and Jay could play either of those roles. Although Willie Calhoun will be MLB ready soon, the Rangers could use another veteran like Jay as a placeholder. I reconsidered this prediction because I do not think the A’s necessarily need a first baseman with Matt Olson ready for a full time job, and if they sign one, they will not chase the best first basemen left in Morrison and Duda. The Mariners may need another option at first base with Ryon Healy injured. He won’t necessarily be ready for a full time job either, and that’s why I see Seattle giving Duda more money and a 2 year deal. They could go with their other 1B prospects, but I see Seattle signing Duda and giving other prospects more time to develop before competing with Healy at first. I’m standing by my original prediction here. The Tigers are rebuilding, but they could use a veteran infielder in case Dixon Machado or Jeimer Candelario don’t live up to their expectations in the big leagues. I don’t think Detroit will sign both Phillips and J.J. Hardy, but I wouldn’t be surprised if they sign one. Phillips is the better fit of the two on this rebuilding Detroit team. Phillips is capable of being a starter, so if they start him in 2018, Jose Iglesias, Machado and Candelario will work out some sort of rotation at shortstop and third since Nick Castellanos is going to start in the outfield this year. But I don’t think the Tigers will necessarily start Phillips every day, and they may throw him into that rotation if he is signed. CarGo did not have a strong year in 2017, and I don’t think he can get more than a 1 year contract at this point. CarGo may still have power hitting abilities, but no team would dare risk more than a 1 year contract on him. I still see him going to the Mariners. They don’t know how Dee Gordon will fare as an outfielder, and the rest of their outfielders are inexperienced, failing to prove themselves as everyday starters. Gonzalez can play right field in Seattle, with Gordon playing center and Mitch Haniger, Guillermo Heredia and Ben Gamel splitting time in left (and possibly playing in the place of Gordon or CarGo if they struggle). The Braves could use a veteran outfielder to fill in until Ronald Acuna is ready, but I think they can manage with Lane Adams and Preston Tucker until he cracks the majors. You never know, he could win the Opening Day starting job in left field if he has a strong Spring Training. The Marlins need some veterans in their outfield until guys like Magneuris Sierra, Lewis Brinson and Monte Harrison are ready for full time jobs. The Marlins traded away all three of last year’s outfield starters. They got some outfielders back, but not all of them are ready to start. Cabrera, along with the recently signed Cameron Maybin will help out until they are ready. Although the Marlins only need veteran outfielders for a year or so, while Cabrera wants two years. He can play alongside the younger guys in 2019, and he can serve as a veteran mentor. The White Sox can probably manage with what they have at third between Yolmer Sanchez, Tyler Saladino and other prospects. But the Braves, another rebuilding team, are finally on the verge of contention. First, they’ll need a new third baseman after Adonis Garcia didn’t work out. Johan Camargo and Rio Ruiz will be considered, but I don’t know if they are ready for full time roles, so they may need to add a veteran in the hot corner. Escobar is a good fit. He’s not necessarily an everyday starter, so he can platoon with the Braves’ younger options at third. Clippard struggled last season with three different teams, so I do not think the Pirates will be willing to commit to a long term contract with Clippard. But I still think this is a good fit. The Pirates need more late inning relievers to support closer Felipe Rivero. Clippard may even be able to compete for the everyday closer job if he rebounds. That’s all for this article. With some of the best free agents finally signed and Spring Training exhibition games around the corner, I will be posting more baseball articles soon, including my MLB Predictions, which will be out next week (I normally post them after the Super Bowl, but normally the Top free agents on the market are signed by then, so I had to wait until the market got going). I will also be posting my annual Ranking The Teams series, a detailed Red Sox Spring Training Preview, and a preseason Baseball Bits about new Red Sox slugger J.D. Martinez. I will also be posting more March Madness and NFL off-season articles soon. Stay tuned. Welcome to the third and final part of my 2018 MLB Free Agent and Trade Predictions. Free agency has been off to a slow start, but it’s far from over. Players like 1B Eric Hosmer, SP Jake Arrieta, SP Yu Darvish, and 3B Todd Frazier will eventually be signed. But where will they go? That’s the biggest question, and I’m about to try to answer it. Today I will be predicting landing spots for the MLB’s best outfielders on the market, and trade ideas. Free agency is finally kicking into gear, and my predictions have been shaken up after the Giants traded for OF Andrew McCutchen and signed CF Austin Jackson. I had originally predicted Lorenzo Cain to sign here, but after these two moves, I was reconsidering and began a prediction for Cain to sign in Milwaukee. Then soon after, it happened, and the market shook up again when the Marlins dealt their last sign of hope to the Brewers in Christian Yelich. Just hours later, the Brew Crew signed Cain and suddenly had a good problem. They had five “starting outfielders” on their roster or five outfielders that could use a starting job. Now, the question is, will they trade Domingo Santana or Keon Broxton? Will Ryan Braun play first base as he said he is open to? Find out my thoughts on that and much more below. Bautista doesn’t have many more years left in him. He looked like he was on the decline last year, and as the Blue Jays are ready to let younger players take over in the outfield, he will not be signing another 1-year deal with them. However, the Rangers could use one more veteran outfielder to add depth to the outfield and to be a role model for guys like Nomar Mazara and Delino DeShields. He will not sign a long-term deal though as I do not think he has more than one or two good years left. The Braves are another team that lacks outfield depth. Bringing back a power hitting veteran like Cabrera is a smart choice because this young lineup needs some power, and the outfield needs another option in left field beside Preston Tucker or Lane Adams. After playing here in 2010, this would be Cabrera’s second stint in Atlanta, so he at least vaguely knows the organization. The White Sox lack a definitive group of major league ready outfielders as they enter a rebuild, so signing one more veteran at that position would be helpful. It doesn’t have to be a big move, just someone who can start for them like Rajai Davis. They don’t need anyone for more than a couple years either due to the fact that they’ll have more outfielders ready to start in a couple years. For now, while Davis plays left, Adam Engel and Charlie Tilson can work out some sort of platoon in center. Then as time passes, guys like top prospect Eloy Jimenez or RF Willy Garcia could take over for Davis, and Engel and Tilson could get more time as starters. After trading away outfielders Giancarlo Stanton, Christian Yelich and Marcell Ozuna, the Marlins are in rebuild mode and will have a new look outfield this year. But they need a couple more ready to start players in case new outfielders Lewis Brinson, Braxton Lee or Magneuris Sierra cannot handle full-time jobs yet. Dyson is one of the younger outfielders on the market and would be a good fit in Miami to play this role. Although Ethier is injury prone and his bat may not be as powerful as it used to be, he would be a good veteran influence in Miami if he stays healthy. If he gets hurt, the Marlins will likely have Braxton Lee or Magneuris Sierra ready to be in a full-time job. After missing most of 2017 with injuries, the Marlins will have to hope that he’s still a reliable starter and that he doesn’t get hurt, so there are some risks to this signing. However, I think it will happen as the Marlins need a veteran influence for these young outfielders. Part of me does not understand why the Marlins are rebuilding so early, but it might be because they want to deal their stars away before they lose value and the Marlins become an old, mediocre team with nowhere to go. An early rebuild gives them the opportunity to acquire a lot of young talent in exchange for some of their current starters, but they still need some veteran influences to start until the young guys are ready. Don’t expect the Marlins to be anything more than a 70-win team though, with or without veterans. The Marlins missed the window to contend with their last era of players, can they contend with this new squad? Right now, if they sign Ethier and Jarrod Dyson, I could see Lewis Brinson and Dyson in full-time jobs, while Ethier and Magneuris Sierra platoon. Baltimore would be a good fit for Gomez, who will bring some power to the lineup of whatever team he signs with. The O’s have a powerful lineup, but after losing Matt Wieters and J.J. Hardy’s bats over the last two off-seasons, they could use one more power hitter to top the lineup off. They never really found a powerful replacement in the lineup for Wieters, and this will also fill their hole in the outfield. Even after acquiring Dee Gordon to play outfield, I don’t trust the Mariners outfield to come through right now. Maybe they could consider trading away 2B Robinson Cano to open up second for Gordon before spring training. But they will only do that if they can get a starting outfielder in return. Either way, signing Gonzalez is a good move for them. He will be a veteran influence on the young guns as he is a strong player in the field and at the plate. Although he has declined, I could see a bounce-back year in the works. If he doesn’t bounce back, they have platoon mates ready for him such as Ben Gamel, Guillermo Heredia or Mitch Haniger. In an effort to finally break through this season, the A’s could use another veteran in their outfield. Even with Dustin Fowler and Boog Powell among others ready to start, there are no locks for Oakland’s third starting outfielder. Jay is a good fit for them, as although he is not necessarily an everyday starter, the A’s can let the younger guys rotate with Jay and fellow starter Stephen Piscotty, while star left fielder Khris Davis starts daily. Give him a two or three-year deal to come to Oakland, and when his contract expires, the younger players will be ready for a full-time role. For now, they can have Jay start some games in center, where they desperately need another option. There have been so many rumors that this deal will happen, that I’d almost consider it inevitable. The Red Sox are probably just waiting because there hasn’t been much buzz surrounding Martinez or much of a rush to sign him. Martinez will probably play a mix of DH and outfield during his time in Boston, but either way, he will bring the some of the power the Red Sox need to make up for the loss of David Ortiz’s presence in the lineup. But none of the home run hitters on the market can make up for what the Sox lost when Big Papi retired. I know that the Giants have already spent a lot on their outfield this off-season between Cutch and Austin Jackson. But I think Jackson could use a veteran platoon-mate. 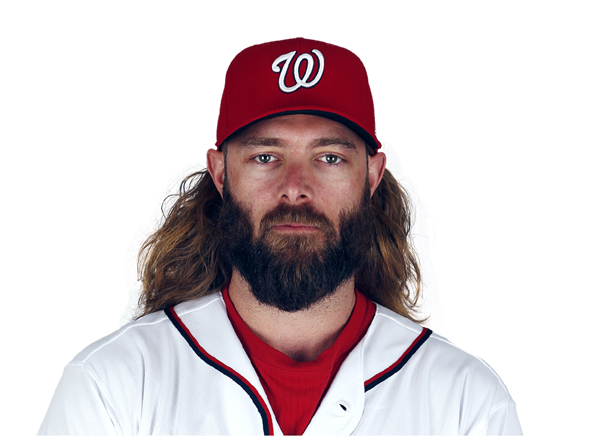 Werth still should have a couple good years left in him, and he may not be an everyday starter anymore, but I see him as a great fit in San Francisco. They could have younger players like Jarrett Parker or Gorkys Hernandez rotate with A-Jax, but I think the Giants had three major priorities this off-season: fix the outfield, get a new third baseman to replace the washed-up Pablo Sandoval, and add a couple more starters. They have already acquired Evan Longoria to play third and A-Jax and Cutch in the outfield. So if they sign one more outfielder and add a little depth to the starting five, they could be legitimate contenders, even in one of the tightest divisions in the MLB. If they can find a destination for Hanley Ramirez, it would give the Red Sox some flexibility in the free agent market. They’ll be able to sign a free agent DH or first baseman and get him into a full-time role. It would’ve given them even more flexibility to just forget about resigning Mitch Moreland because then Hanley could play whatever position they cannot fill in free agency, either DH or first base. But it’s too late for that. It will be tough for them to dish away Hanley’s contract though. Who would want to take that on? The only team that I think might be up for it is the Twins, who could be looking for an upgrade at DH over Kennys Vargas. However, it would be nice, especially if we can get a decent starter in return like Gibson. It would be nice just to have another option in the rotation in case Price or E-Rod struggles. In the meantime, we could sign either Eric Hosmer or J.D. Martinez to fill our need for a power hitter, and they would have a full-time role for whichever one they sign. In this case, signing Hosmer would mean Hosmer plays first and Moreland plays DH, and signing Martinez would mean that Moreland stays at first and Martinez replaces Hanley at DH. I was suggesting that the Mariners consider trading Cano to open up second base for the newcomer Dee Gordon, but it would be crazy if this happened. This would just give the Yankees another home run hitter when they already got Giancarlo Stanton this off-season. I even have them re-signing 3B Todd Frazier. But it would be a good trade on both sides as the Yankees fill the hole that Starlin Castro left, and the Yankees already have enough outfielders with Hicks, Judge, Ellsbury, and Stanton out there. Cano knows the offensive scheme in New York too, and that always helps. They do need a DH, but they have guys like Tyler Austin and Miguel Andujar that could become a full-time DH. This is also good on Seattle’s end, as they open up second base for Gordon and get a much needed full-time outfielder in return. It’s a nice thought, but it would be absurd if this actually went through. I don’t think the Jays are done dealing. Even with Curtis Granderson and Randal Grichuk on the roster, I think the Jays could use one more outfielder. Kiermaier is a great fielder who can fill that need. The Jays don’t really need Travis anymore since they traded for 2B Yangervis Solarte. On Tampa’s side of things, they already have a surplus of starters in the outfield, and first base is their biggest offensive hole. Acquiring a second baseman like Travis will allow Brad Miller to spend some time playing first while Travis shares time with Micah Johnson and/or Joey Wendle at second. This might be the craziest trade I’ve predicted yet. I highly doubt this will happen, but if it did, it would work for both teams. The Braves will be able to give their younger pitchers more time in the starting five, and they will fill their gaping hole at third that was left by Adonis Garcia when he left to play in Korea. Meanwhile, in Texas, they would acquire a flame-throwing reliever looking to bounce-back from an injury-riddled season (Cabrera) and a top-tier starter to grab the second spot in the rotation behind Cole Hamels (Teheran). With Beltre out of Texas, 3B Joey Gallo will finally have a full-time job as well. I doubt this will happen, but it is an intriguing trade that would shake up the rosters of both of these teams. Despite a defined ace, they will have multiple pitchers with ace potential. Meanwhile, the Brewers will be able to cut down their outfield to three everyday starters in Cain, Yelich, and Braun. Keon Broxton and Brett Phillips can back them up. The Indians outfield will finally have the right-handed everyday starter they need in Santana. He will start alongside Michael Brantley, and either Bradley Zimmer, Lonnie Chisenhall, Brandon Guyer, or someone else. The Indians have Melvin Upton Jr. signed to a minor league deal as well, and I could see him returning to the majors. The point is, the Indians will at least have two defined starters after this trade, and both teams will fill a crucial need and give up a player at a position they have plenty of depth at. While I was there, my dad and I faced off in NFL Blitz, and we simulated the Super Bowl LII match-up. Playing as the Pats, my dad beat me (as the Eagles), 31-3. I was unhappy that I lost, but also happy that the Pats won our simulation. As for the real Super Bowl, I will have an in-depth look at it throughout this week, so stay tuned. Welcome to Part 2 of my 2018 MLB Free Agent and Trade Predictions. Free agency has been off to a slow start, but it’s far from over. Players like 1B Eric Hosmer, SP Jake Arrieta, SP Yu Darvish, and 3B Todd Frazier will eventually be signed. But where will they go? That’s the biggest question, and I’m about to try to answer it. Today I will be predicting landing spots for the MLB’s best catchers and infielders on the market. After the loss of Wellington Castillo to free agency, I could see another veteran catcher like Alex Avila sign here. They haven’t found the young catcher that will replace Matt Wieters yet, so for now, the O’s should try to replace him with experienced veterans like Avila. Lucroy did well in his first and only year in Colorado, batting .265. Although Martin Maldonado was good in year one as a starter, it would be nice for the Angels to have a veteran catcher in their lineup, and Lucroy can hit although his average was a little low for him last year. I expect he’ll bounce back offensively and continue to do well defensively if he signs here. The Marlins could also use a veteran catcher, but Montero will be the back-up for starting catcher J.T. Realmuto if the Marlins don’t trade Realmuto away. Montero hasn’t done as well in recent years, but he will thrive as the Marlins backup catcher. The D-Backs are another team that needs a veteran catcher to start in front of either Jeff Mathis or John Ryan Murphy, whoever makes the roster. They could manage with those two, but if they want to contend, Ruiz will help them offensively and defensively. Young catcher Willson Contreras will start this year. But I think a veteran behind him in case he struggles in his 2nd full season as a starter would be helpful. Soto will do just that and will be a cheaper signing than guys like Carlos Ruiz, or even Alex Avila. The A’s could use a veteran to rotate with young 1B Matt Olson, and Duda seems like a good fit in Oakland. The former Met will also help bring some much-needed power to the lineup. Duda slashed 30 dingers in 2017 despite a lowly .217 batting average. Gonzalez is not in his prime anymore, and he’s not necessarily an everyday starter anymore either. But injuries held him back in 2017 and I do not think he’s done yet. He’ll spend his final few years with the Rockies, who could use another bat in a hitter-favorable ballpark. If he gets hurt or is slumping, they can just move OF Ian Desmond back to first and start young OF David Dahl. I was originally thinking Hosmer would go to Boston, but instead of chasing after him, the Red Sox resigned Mitch Moreland and are going after J.D. Martinez. Although Martinez’s bat would help Boston, I don’t know exactly where he would fit into their scheme, especially with Moreland coming back. Otherwise, they could have either brought Hosmer in or put Martinez at DH and moved Hanley Ramirez to first full time. The Padres are a decent fit for Hosmer, even though his best fit was in Boston, in my opinion. Wil Myers can move back to the outfield, filling a hole they have out there, and Hosmer can play first. They could also use him to replace power hitter and 2B Yangervis Solarte in the lineup, who will likely be replaced in the field by either Cory Spangenberg or a prospect. I do not feel that Dominic Smith is quite ready to start at first. For now, I have the Mets bringing in veteran first baseman Logan Morrison. Morrison, who slashed 38 dingers last year, will be a help in the lineup and in the field. Morrison will help the Mets try to return to their 2016 form. With the combination of a couple more veterans to finish off the lineup and the healthy return of the dominant Mets rotation, there’s a chance that they can make it happen. The Mariners could also use a veteran to share time with 1B Ryon Healy. Napoli is a little old to start every day so Healy will take over once he develops a little more. Maybe spending some time pinch-hitting or playing DH (Nelson Cruz would play RF) will help him eventually take over Napoli’s short-term role. Nunez showed promise last year with the Giants and Red Sox, but can he be trusted as the everyday starter for the Mets if they sign him? The Mets do have 2B Wilmer Flores if he’s not ready to be part of their everyday scheme. Flores may be needed at third if they cannot find another back up for the injured David Wright, but if they can find a backup there, Nunez could be an intriguing signing. Peterson batted just .215 last year with just 2 dingers. He did lose at-bats last year due to struggles and the signing of 2B Brandon Phillips, our next free agent in this article. Whoever signs him will be hoping he develops into a better hitter next year. As a utility, he is good in the field, but the Yankees will be looking for a guy who can hit to play second. If Peterson fails, they could consider a trade in the off-season or regular season. I think 2B Robinson Cano might even be someone good to try and retain from Seattle. Phillips still has something left in the tank as he showed with 13 dingers, 60 RBI and a .285 average in almost 600 at-bats. The Tigers could use a couple more veteran leaders in the midst of a rebuild, and Phillips is a good fit here and should be one of them. Utley is not necessarily a starter here, just a veteran influence who will share time with fellow middle infielders Jose Peraza and Scooter Gennett. I do think the Reds could use another veteran in addition to Utley, but they could probably find one in the trade market. Walker looked good in Milwaukee, and I think this is a great fit. Walker should be signed to a long-term deal in Milwaukee as they begin a run for the playoffs. They could use the veteran leader in the middle infield in addition to 2B Jonathan Villar and young SS Orlando Arcia. Aviles is another veteran shortstop who has declined, but the Orioles need a shortstop starter fast. I don’t expect them to chase after a top dog SS like Alcides Escobar, or even trade for SS Xander Bogaerts. But a short-term signing like Aviles might be reasonable, and they might even want to re-sign Ryan Flaherty to platoon with him. Aybar is not an elite shortstop anymore, but he could be a good addition to Miami as a backup to SS J.T. Riddle, or potentially a short-term starter if Riddle is not ready yet. He will have a similar role to what he did in San Diego, but with even less time as the #1 guy at shortstop. Aybar’s career went downhill since he was traded to Atlanta prior to 2016, and don’t expect him to return to his 2015 form all the sudden. Drew did well as a backup for Trea Turner last year in Washington, but didn’t get that many appearances. I see him returning to the Nats in a similar role, but this time he will back up at multiple positions in the infield as he takes on more of a utility role. The Nationals could use backup in other infield spots as well, and Drew will help take care of that. I doubt the Royals will resign all the guys they lost in free agency this year, like 1B Eric Hosmer, OF Lorenzo Cain and 3B Mike Moustakas. But Escobar would be a good veteran influence going into the new era in Kansas City. I know Raul Mondesi may be ambitious to start, but he can probably platoon somewhere in the infield and eventually take over for Escobar before this contract expires. Hosmer could also do this job if he’s left around, but they’ll only sign one. Besides, for the most part, it’s time for a rebuild. Maybe they’ll sign a couple more infield veterans just to back up for the rookies too. Hardy’s time in Baltimore might finally be over. I see him heading to Detroit as another veteran influence to play alongside Brandon Phillips. Don’t be fooled and think they could go for a playoff run after signing Phillips and Hardy. Phillips and Hardy will not start all the time, and they need to develop their prospects eventually. According to Al Avila, it’s time, as he already traded away guys like OF J.D. Martinez, who is now a free agent. After a strong 2017 season, I think Escobar still has something left in the tank, even at age 35. He is not an expensive purchase anymore though as he gets closer to retirement age. I see Escobar signing in Chicago, where they could use a veteran at third as they cope with a rebuild and need some veteran influences. Escobar will be one of them, and even with Escobar starting at third, at least this year, Yolmer Sanchez, Yoan Moncada, Tyler Saladino and Tim Anderson will still all get significant time on the field. I thought Frazier was a great fit in a Yankees uniform, and he thrived with the Yankees after getting off to a rough start to the season in Chicago. After being dealt to New York, he improved. Now that the Yanks traded 3B Chase Headley back to where they got him in San Diego, they need a full-time third baseman, and if Frazier can keep up what he had in New York last year, he could be the man for the job. St. Louis would be a great fit for both 1B Eric Hosmer and 3B Mike Moustakas, but they will only sign one as they have Matt Carpenter to play whatever infield position they cannot fill. The middle infield is all set between Jedd Gyorko, Paul DeJong, and Kolten Wong. But they could use a veteran 1B or 3B after the recent departures of both Aldemys Diaz and Matt Adams. I believe Moose can thrive here, but the Cardinals will have to be willing to give him a good-sized contract. Matt Carpenter will stay at first will Moose starts at third like he did in Kansas City. Plouffe is not necessarily a starter here, but it will be nice to have a backup if 3B Hunter Dozier or INF Cheslor Cuthbert turns out to flop. Plouffe will also serve the role of another veteran influence alongside SS Alcides Escobar, OF Alex Gordon, and most of the Royals strong rotation. This is not a long term signing though as I am sure someone will secure the starting job within the next one or two years. Reyes will fill in while 3B David Wright recovers from back surgery. I’m thinking some sort of platoon could start when Wright returns, especially if Wright is not quite himself after surgery. That’s all for Part 2 of my free agent predictions. Stay tuned for Part 3, where I discuss outfielders in the market, and potential trade ideas for teams across the league. Welcome to Part 1 of my 2018 MLB Free Agent and Trade Predictions. Free agency has been off to a slow start, but it’s far from over. Players like 1B Eric Hosmer, SP Jake Arrieta, SP Yu Darvish, and 3B Todd Frazier will eventually be signed. But where will they go? That’s the biggest question, and I’m about to try to answer it. Today I will be predicting landing spots for the MLB’s best pitchers on the market. It would be crazy if Arrieta returned to Baltimore, but I think he’s a great fit. The O’s have serious rotation problems. They lack depth and they need an ace, and this helps resolve both of those problems. But Arrieta won’t be able to fix the Orioles rotation alone. They’ll need to sign a 5th starter to complete the rotation behind Arrieta, Kevin Gausman, Dylan Bundy, and Mike Wright/Alec Asher. After the retirement of Matt Cain and the departure of Matt Moore, the Giants need some depth in the rotation behind Madison Bumgarner, Johnny Cueto, and Jeff Samardzija. Cashner will help do that as the Giants try to rebound from a rough season where they finished last in the NL West. However, more starters might not be enough to get the Giants into the playoffs and continue their even year success. There have been a lot of rumors about Cobb going to the Cubs, but I think the White Sox could also use an elite veteran starter as an influence for the younger guys. The White Sox could also use one more starter in case one of the younger guys struggles. I know the White Sox are in rebuild mode, but that doesn’t mean they can’t go out and sign a couple veterans to help their cause. That will be a theme throughout this series. Darvish is another pitcher that the Cubs have been chasing after this off-season, and I do think they’ll pursue him. He will be Arrieta’s replacement in the rotation. But after playing the role of #2 starter on both Texas and LA last season behind Cole Hamels and Clayton Kershaw, respectively, can he step it up and become a reliable ace again? Garza will also add depth to San Francisco’s rotation in an effort to bounce back from their rough season. With the additions of Cashner and Garza, their rotation will have a strong group of five veteran starters to guide the pitching staff. After the departure of Lance Lynn and Mike Leake, the Cardinals will need another pitcher in the rotation. Alex Reyes should be in the rotation this year, but Jimenez will be the mid-rotation starter they need. As the Cardinals hope to return to the playoffs this year, they will need another veteran starter. I still think Lackey has a couple more years left in the tank, and despite the fact that the Royals are trying to rebuild, I think they could use a veteran starter to top off the rotation. They have a lot of young talent in the lineup, but I don’t know if all their pitching prospects are major league ready yet. 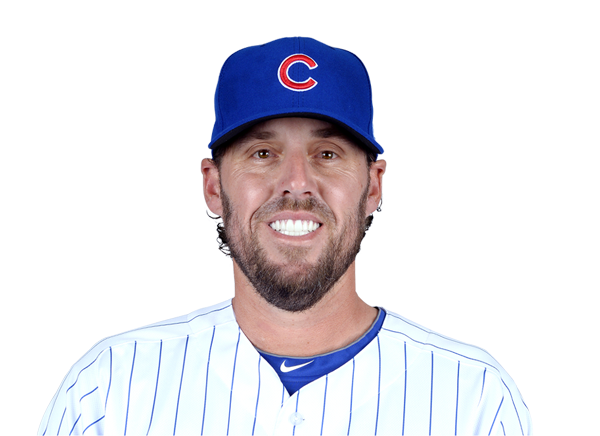 They might need a couple more years, and that’s where Lackey comes in. The Marlins need a couple more veteran starters to add to the depth of their rotation, even in rebuild mode. Lynn will help fill that role as well as Chris Tillman, who I also think will be signed by Miami. Tillman will also help add depth to the Miami rotation. Neither will get more than a few years though because by then, there will be more pitching prospects ready to join the rotation. The Padres could use a veteran influence in the rotation as well. Vargas had a career year last year, but can he repeat that? Either way, Vargas will be a leader in the Padres young rotation and he will be a role model for the younger starters on the rise. Blanton will add depth to the Indians bullpen. He will likely be their 7th inning guy or set up man if they sign him. They have signed Alexi Ogando and Evan Marshall to minor league deals, but in case those two don’t come through, I think the Indians will sign Blanton as a safe veteran option. The Pirates have good depth in the bullpen, but they need a closer and set-up guys who can lead the bullpen. Will Clippard be able to handle the role of closer? That is what must be found out. Pittsburgh might need to go for another late-inning reliever to help him out. Maybe they’ll even resign set-up man Joaquin Benoit. Grilli might be determined to keep pitching, but I doubt he was more than one or two more years left in the tank. I think Detroit will sign him as a closer until they find a younger replacement, which they will need as they enter rebuild mode. The Brewers are another team that could use a closer/late inning reliever, and Holland is a great fit in Milwaukee. Although they have been off to a slow start, expect the Brewers to be active buyers this off-season as they prepare to make a playoff run. Hoover will be the late-inning reliever the Angels need. He will assist others like Cam Bedrosian to finish off games. The Angels may want a top tier closer like Greg Holland, but the combination of Hoover and Bedrosian may just do the trick. After the departures of Drew Stanton (who I do think the Reds will also resign), Tony Cingrani, and J.J. Hoover, the Reds need depth in the bullpen and late-inning relievers to finish off the game. This is the year where the Reds could start contending, and Logan will help their case. He will be a part of their revised late-inning staff and add depth to the pen. The Phillies will sign Norris as a reliever, but knowing that he has started in the past, I wouldn’t rule out a role in the Phillies rotation for him. If they sign him, he will make the roster either as another starter or someone to add depth to the bullpen, but will he beat out the younger players and make the rotation? The Braves could use a reliever to set the stage for closer Arodys Vizcaino, and that’s what Street would be here for. In general, the Braves could use some more veteran relievers to add depth to the bullpen so this signing will kill two birds with one stone. The D-Backs lost a couple of their veteran relievers to free agency and trades, and I just feel that Watson would fit in well in Arizona. Throughout the last couple of years, the Diamondbacks have lost J.J. Hoover, Evan Marshall, and David Hernandez. They already lacked depth in the bullpen with those guys on board, so they need it now more than ever. That’s all for Part 1 of my MLB Hot Stove predictions. Check back soon for Part 2, where I talk about catchers and infielders.